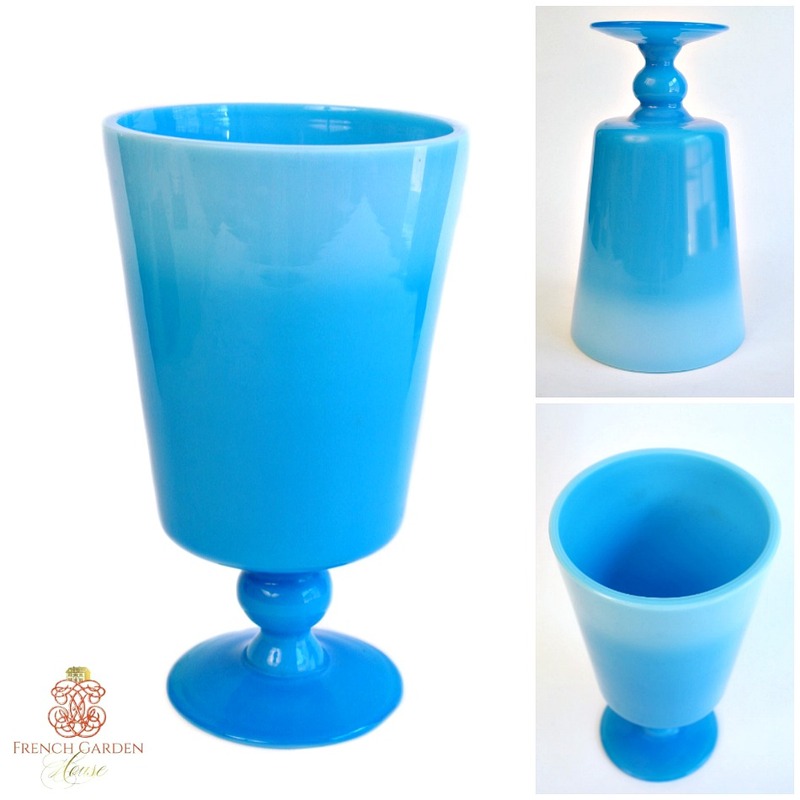 An elegant French handblown Opaline Blue Opalescent Glass Vase in an exceptional collectable size, pieces this large and heavy are quite rare to find. 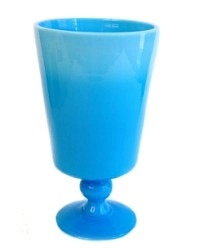 The glass is slightly lighter and more opaque on the top, the color is divine, a gorgeous Blue with Aquamarine. 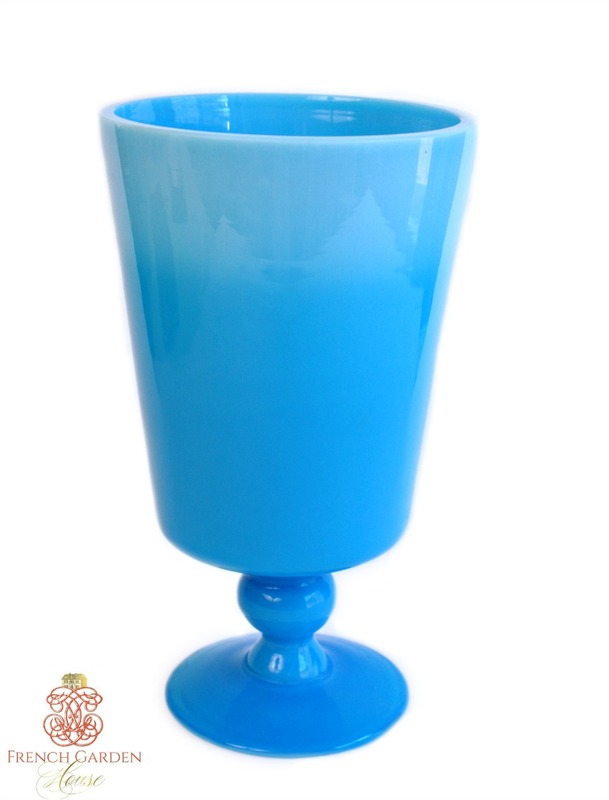 Classic design, decorative and stunning, will make the other vases in your collection jealous. 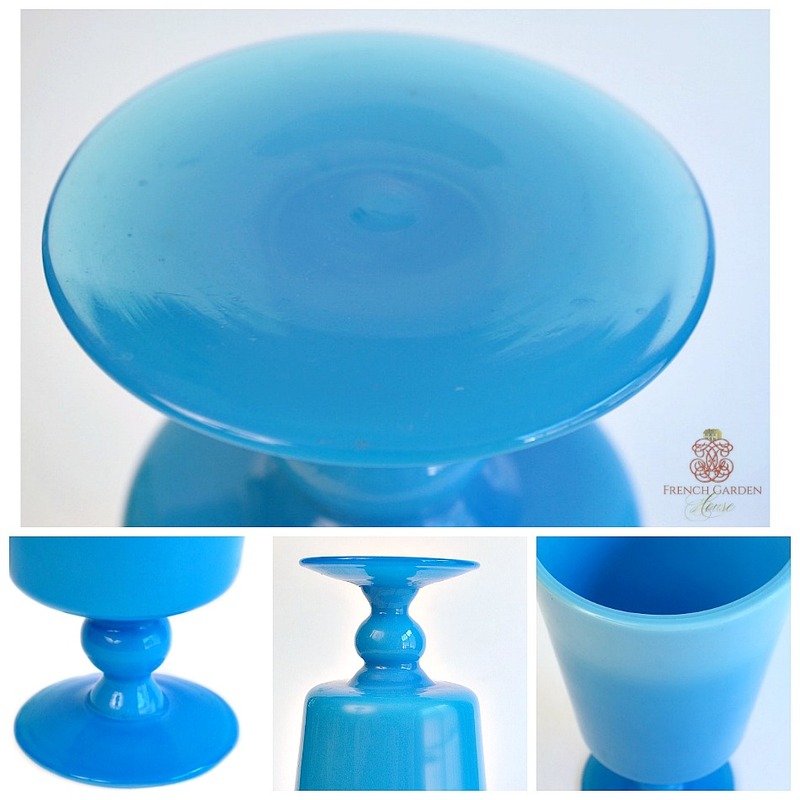 Thick, hand blown glass displays pontil on the bottom.